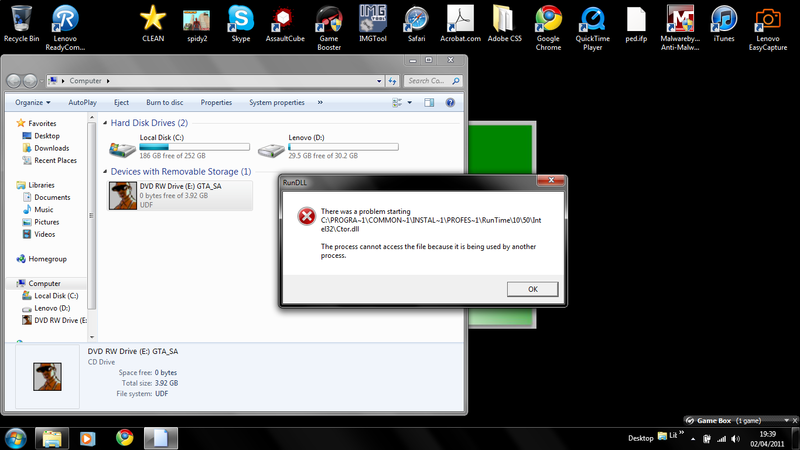 basically, i was attempting to download a nice map mod for Gta, but then i had a problem where it crashed straight away. so i reinstalled gta sa and samp, and when i started SA-MP up, to connect to RC, it was still crashing. (i had this problem before, which the last thing i done to fix it was to delete everything in programme files and stuff, and then pop the disc back in and install it.) but then i had to restart my laptop because it was saying that one of the programmes in the GTA folder was running. 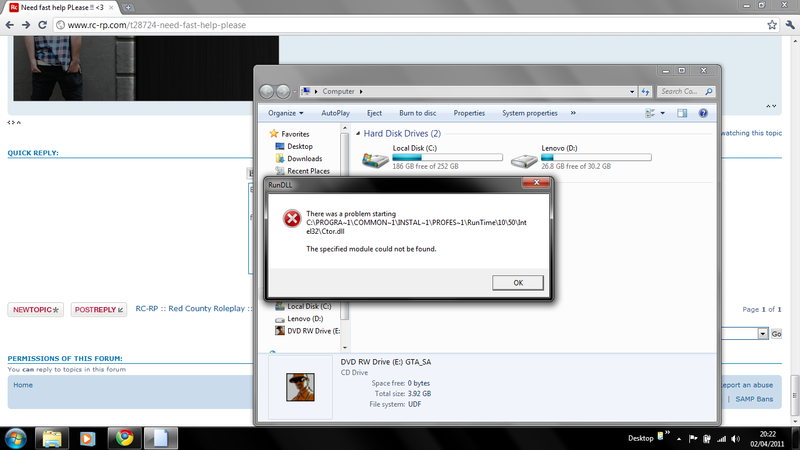 the when i restarted my laptop, and went to click onto the disc to install GTA, i got this. Check the processes on Task Manager and kill that process? Turn the computer off then back on, fixes 86.5% of all errors. Find the file on the internet, download it and overwrite the old one. It should fix the problem.